Systems Thinking for Foresight is a tentative effort to improve the Foresight practice with the introduction of ideas from systems thinking and suggestions of ways to work with systemic models. For the champions of systems thinking, Foresight triggers and is triggered by new situations, which are not solvable decision-problems, but can be recognized in the environment from their inter-linking elements. Causal relations are less significant, leaving many relationships to depend on the behavioral pattern of an appreciator who is also part of the situation. Boundaries become a matter of debate and dialogue, as situations occur dynamically and are never solved. Appreciation is placed in close nexus with anticipation and learning; this relationship is considered fundamental for the capacity to develop coherent narratives about the future. Consequently, new ideas were introduced into the practice of Foresight. Ozcan Saritas proposed the concept of Systemic Foresight, not as a vision-building methodology, but rather as a set of principles that allow better understanding of complex systems, create a future system and transform the existing one. Riel Miller defined Futures Literacy as the capacity to question the assumptions used to make decisions today and to explore the possibilities of the world around us through rigorous imagining. As a recognition of the potential role systems thinking might play in bridging the conceptual gap for the ever more wide-ranging Foresight exercises, the first Mutual Learning Workshop was dedicated to Systems Thinking for Foresight. Systems theory is a framework inside which one can investigate and describe any group of objects (mechanical, organic, societal, informational) that work together to produce some result. According to Peter Checkland, a system is “a set of elements connected together which form a whole, this showing the properties which are properties of the whole, rather than properties of its component parts” (Checkland, 1981, p.4). In social sciences, system theory is associated with important figures, such as Walter Buckley and Niklas Luhmann. Luhmann's systems theory includes three, inter-related components: a societal theory, a communication theory, and an evolution theory. But the focal element is communication, as social systems are defined as systems of communication. A system is created once a cut is made, and a boundary separates the system and its environment. Communication within a system operates by selecting only a limited amount of the available information, while the criteria for this selection is meaning. Systems operate by processing meanings. The exterior of the system is characterized by chaos, while the interior is where complexity is reduced; the process is called reduction of complexity. Furthermore, each system has an organization and a structure. The organization is what gives the system identity, and depends on what is considered meaningful. If the system fails to maintain its organization, it ceases to exist. Structure changes over time, and is determined by organization. This process of reproduction from elements previously filtered is called autopoiesis (self-production). In Luhmann systems theory, social systems are autopoietically closed. In other words, the exchanges in terms of meaning with the environment or other systems are low. Luhmann treats systems ontologically. For him, systems and sub-systems exist as such. Certain systems fulfill functions that contribute to the social body, but this is not necessarily the result of a comprehensive vision of society. The functioning of each system is determined by its own code, and does not communicate with other systems. The communicative actions of people are constituted (but not defined) by society as a system. In turn, society is constituted (but not defined) by the communicative actions of people, who are forming its environment. And thus change is explained, as the influence of events from the environment (people) onto the system (society); this process is called structural coupling. Systems thinking implies that events themselves are regarded as systems or parts of larger systems. Dennis Loveridge remarked that foresight thinking and systems thinking are strongly inter-linked, as both are influenced by behavioral traits. Foresight thinking is dependent upon pattern recognition, it provokes and is provoked by the recognition of a new situation composed of patterns linking elements of a new object or of a new idea. The new situation has to be familiar to the interpreter through old experience, otherwise it will not be perceived or comprehended. Following Vickers, Loveridge further states that dissolving the new experience into existing experience is more than assimilation, and it involves the more subtle process of appreciation. To talk about new situations, rather than new problems or future challenges, is central in Loveridge’s systemic approach to Foresight. Situations are not solvable or “well structured”, but can be recognized from their elements and inter-linking. Causal relations may be present, but they are not the dominant feature, leaving many relationships to depend on the behavioral pattern of the appreciator. Since the appreciator is also part of the situation, perception of its boundaries is a matter of debate and dialogue. 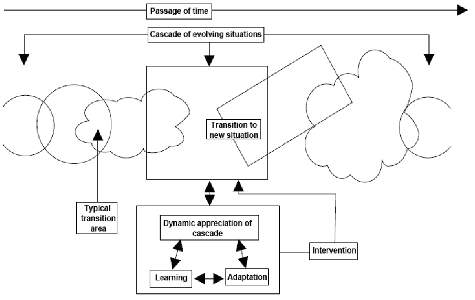 Furthermore, situations are dynamic, occur in cascades and are never solved, “but simply change their context and content after every intervention, appearing to become unrecognizable from their initial form over a period of time, though the initial form remains buried in the stream of new contexts. […] The emergent properties of each situation will be the input to the next, each embodying the question of how the interactions of agents in the situation produce an aggregate entity that is more flexible and adaptive than its component agents” (Loveridge, 2008, pg. 15). As situations occur in cascades, each generates a new experience requiring a shift to a new appreciative setting. Understanding the concept of appreciation (or sensitive awareness) becomes thus fundamental to understanding Foresight. After all, situations are systems themselves, open to the reception and interpretation of weak signals, with low probability and high information content. Following again Vickers, Loveridge states that appreciation has a circular relationship with anticipation and learning, and with their internal feedback loops, and that this relationship is fundamental to the capacity to develop coherent ideas and narratives about the future (ibid, pg. 27). Appreciation is thus defined as a combined process of deriving the information that describes the current state of a soft system, and its comparison with the norm, providing thus a signal for action. The resulting appreciative behavior is a dynamic control action different than a regulation, since regulations are altered only at discrete intervals of time. Appreciative behavior may generate responses that vary according to the extent of the departure from the recognized norm. Therefore, appreciation requires two kinds of judgments of reality in order to assess the state of the system, and then to value the facts with respect to the individual and society. Current institutional Foresight produces sets of fragmented and disconnected ideas at discrete time intervals, with outcomes that cannot be placed within a systemic framework without the assumption of the existence of a system with wider boundaries that supports the existence of both fragmented and punctuated outcomes. The context in which institutional Foresight is embedded and the content of the subject issues under consideration are presently contained within unspecified boundaries. Systemic understanding - creates shared understanding and mutual appreciation of issues at hand. 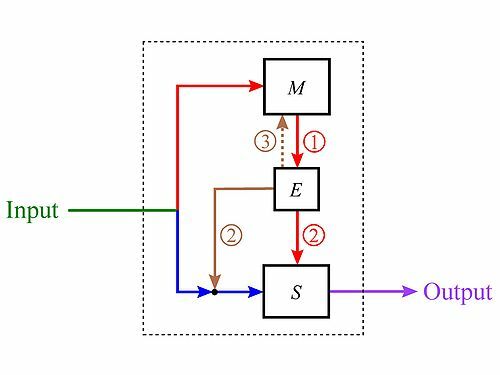 Systems synthesis and modeling - the input from scanning is synthesized into conceptual models of the situations involved in the real world. Systemic analysis and Selection - analyses the alternative models of the future and ‘prioritises’ them, through intensive negotiations among system actors and stakeholders, to create an agreed model of the future. 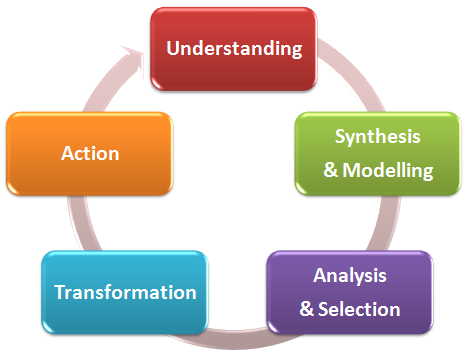 System transformation - establishes the relationship between the future and the present for a change programme. Systemic action - creates plans to inform present day decisions for immediate change to provide structural and behavioural transformations. Exploratory – the potential to be without precedent, arising from inspiration, creativity and discovery. Level 3 - Strategic scenarios – questioning assumptions and assessing current choices. Finally, there is one topic under debate in the discourse on systems and Foresight: is Foresight to be described as systematic or systemic? After all, most “official” definitions include the formula “systematic process”. Miller (together with other authoritive experts) seems to think that both terms can be used when we are talking about Foresight. However, most proponents of systems thinking for Foresight insist that systematic inquiries are reductionist. By contrast, anticipating possible future events that together describe a set of perceptually bounded future situations “is a systemic, not a systematic, way of proceeding because it is opinion centred, deals in uncertainty and alternatives, and relies on what Vickers means by comprehension” (Loveridge, 2008, pg. ). Mika Aaltonen used system thinking and concepts associated with complexity to challenge the analysis and classification of future research methods from the AC/UNU Millennium project. Qualitative, quantitative, normative and exploratory perspectives were replaced with engineering, systems thinking, mathematical complexity, and social complexity perspectives. Methods presented in the lower left-hand corner (Engineering Approaches) are, or have become well-known and are relatively easy to use. Methods from the upper left-hand corner (Mathematical Complexity) often need some mathematical background and programming skills. But there exists some serious doubts concerning their capabilities for offering anything else other than engineering approaches. 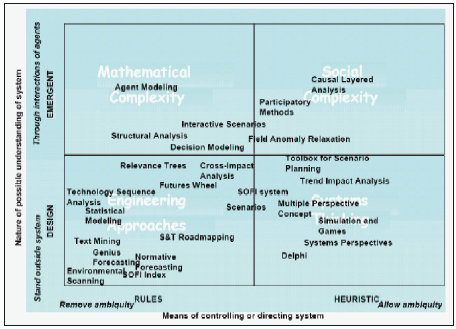 Systems thinking is placed in the lower right-hand corner, with an inclination towards methods that handle ambiguity better than more design-orientated approaches, and offers more stability than emergent approaches. In the upper right-hand corner, Social Complexity has not been adopted because its main capability is limited to dealing with nonlinear phenomena, and provide an understanding of a system’s direction without being able to control that system. ↑ Aaltonen, Mika (2005). Futures Research Methods as Boundary Objects, p. 29-38. Futura.